You will want to make sure you check your vehicle so you always have the best visibility as you drive. The first thing to check is the windshield. Be sure that it is free of any cracks, divots, or chips. If there is a small crack, it will start to spread with time. This can lead to a larger issue where the whole windshield will need to be replaced. If you catch a problem early, sometimes it can be repaired so the crack or chip does not spread. Also check the rear window that it is clear in and in the best condition. Make sure the windshield wipers are checked as well. 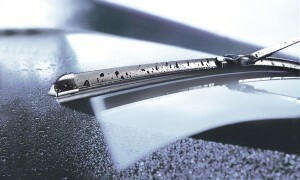 The wipers are important because it helps to clear away any precipitation or road grime that might be on the windshield. If you do not clear the windshield, there will be dry spots and smears that can impact your visibility. If you notice that the rubber of the blade has been damaged, make sure to have the windshield wipers replaced. Another sign of an issue is if they chatter or vibrate against the windshield as they operate. Also look to see if they are cleaning the windshield. If they are not, then get a new pair of wipers. You should also check the side windows of the vehicle. Sometimes the motor of power windows can go out. This is an issue if you have the window down and there is a chance of rain. If you notice any issues with them, make sure to call and schedule an appointment with us. No matter what the issue is for your vehicle, we can inspect it to see what it is, and make sure to repair it for you. This entry was posted in Vehicle Safety Inspection, Visibility, Wiper. Bookmark the permalink.